After having spent some days at the beautiful lake Vättern and its Biosphere reserve, we headed back to Ödevata Countryside Hotels for a couple of more nights to visit The Kingdom of Crystal. Malin, one of the Ödevata owners, took time from her busy schedule to tell us more about the Kingdom of Crystal and cycling in Sweden. We found out many people cycle from Ödevata Countryside Hotels to different destinations close by, including The Kingdom of Crystal. 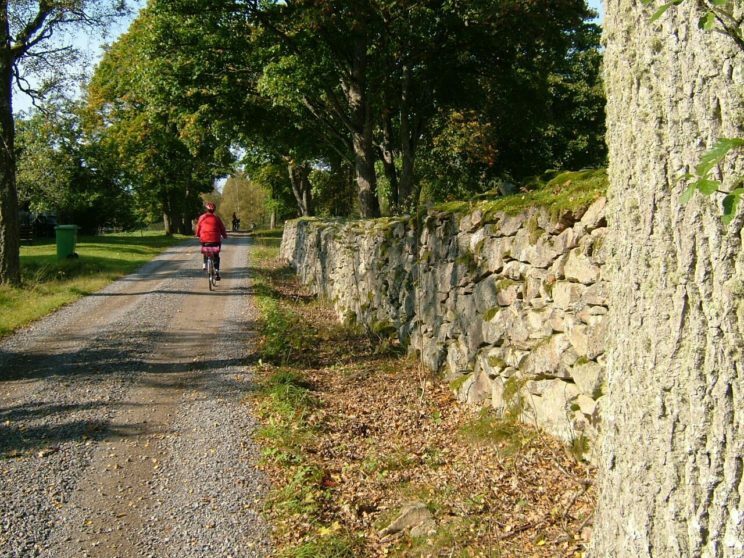 There are many popular cycle routes here and cycling in Sweden is very popular. Many cycle in Sweden to reduce their CO2 emissions. At the same time cycling in Sweden’s beautiful forests is quite relaxing. Especially for city people, who are seeking for such activities on their free time and during their holiday. Malin says that more international guests are coming to cycle. She always recommends anyone visiting them at Ödevata to cycle in Sweden and explore Sweden’s nature. There are many small villages in the Kingdom of Crystal, a famous one is the Målerås Glass Village. 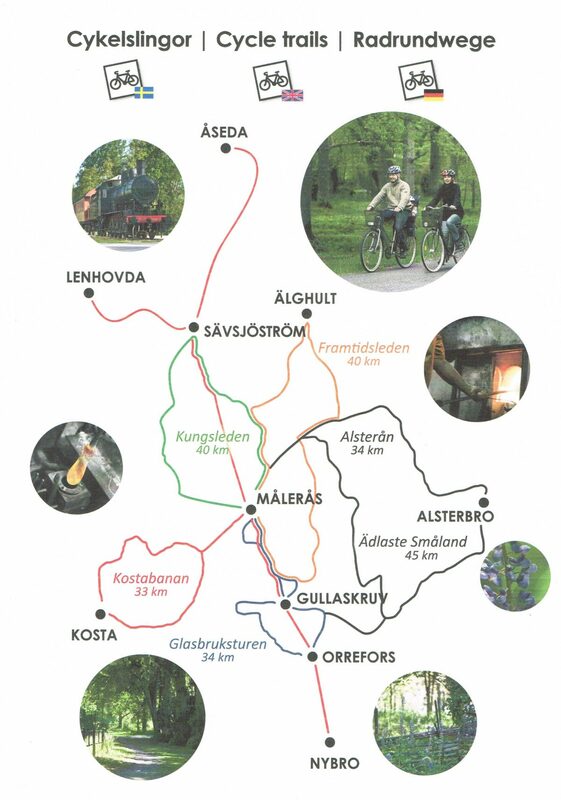 Ödevata Countryside Hotels collaborates with Målerås Glass village, which is becoming a hotspot for cycling in Sweden. Malin told us that in the summer and spring, they offer prebook only bike rentals for a nice one-day trip to Målerås. Malin said they will offer electric bikes in the future. You can visit Swedish heritage villages and go along old abandoned railway tracks. Unfortunately, it is still winter, so we took the car to Målerås. But we are still curious about cycling the routes. 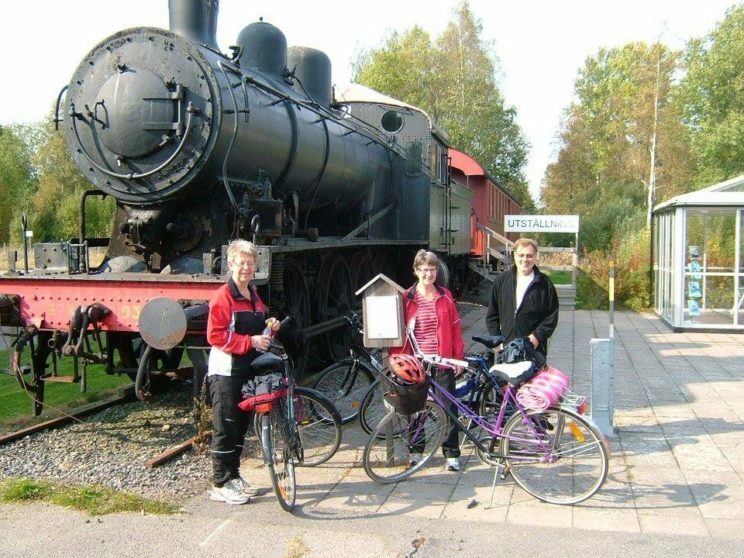 We will be coming back next year to experience cycling in Sweden and cycle along the railway tracks. Instead, Malin showed us a map of the cycling routes and The Kingdom of Crystal routes. The Swedish heritage villages along the way is a rare opportunity to explore Swedish culture in depth. The railway tracks have been recovered and repurposed for hikers and cyclists. She showed us the Swedish heritage villages, and the stunning landscapes we would pass. One of the routes would take us to Boda, the first stop in the Kingdom of Crystal. This area have a rich history with glass blowing and glass art. It is a large part of Swedish heritage. The glass Factory and the glass artists’ studios are the heart of Boda. 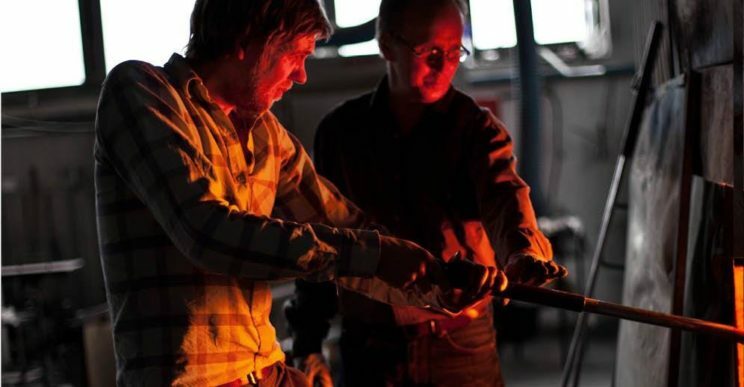 Glass artists, like Micke Johan, spend a lot of time honing the art of glass blowing and design. While you are here, you can visit Örsjö Church. Cycling farther, you would pass the beautiful lake Orranäsasjön. Then you can take a rest in Gullaskruv before reaching Målerås. The Hälleberga church serves “fika”, which is an integral part of Swedish culture, during summer. You can cycle the longer route on your way back by going cycling to Madesjö lake before turning towards Ödevata. 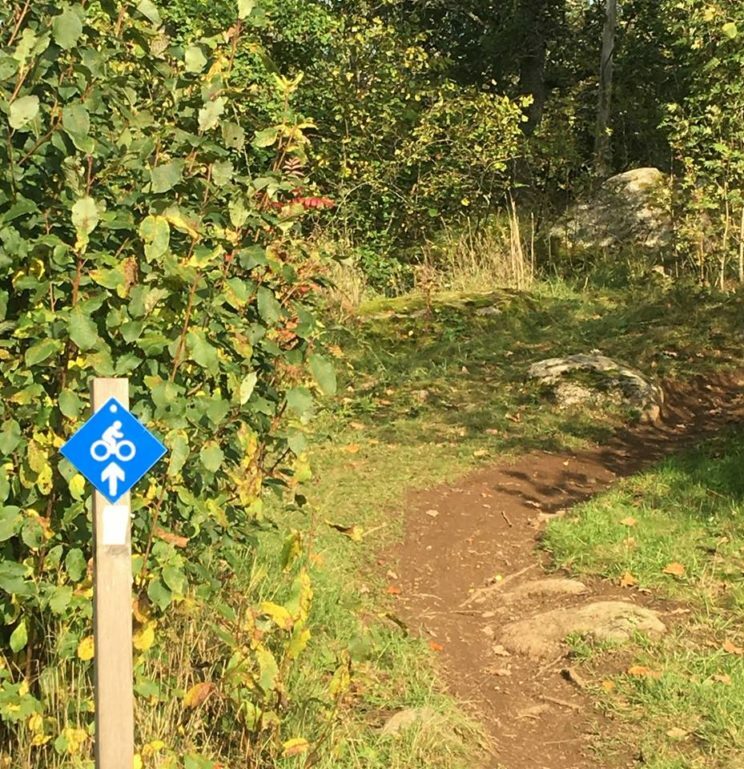 We highly recommend you take this route if you cycle in Sweden. The church stables at Madesjö church is a fantastic museum. The staff there can tell many stories about Sweden and Swedish culture. They are wise and knowledgeable old men and women who are all volunteers. When we drove past there, we had a blast. Since it was off-season in winter, Malin was kind enough to prearrange everything for us. So if you are coming in winter, make sure the routes and the church is open. We could imagine it would be much better in the summer when the “fika” is open. 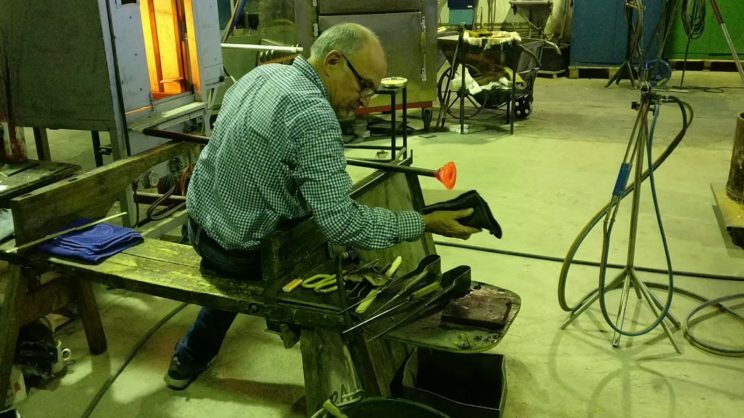 When we arrived at Målerås Glass Village, we were greeted by Åke, one of the people in charge of Målerås. While eating lunch with Åke in a local restaurant, he told us a bit about the history of Målerås. The railway was built in 1876 from Nybro. The railway opened many opportunities for Målerås. Raw materials could be transported in, and products could be carried out. Sand was imported from Denmark and Holland, allowing the glass factories to develop in the region. Today, only two factories remain as part of Swedish heritage. However, there were more than 50 glass factories until the 1940s in the Kingdom of Crystal. The railway played a major part in the development of Målerås. Nowadays, the key word associated with Målerås Glass Village is nature, Åke told us. Apart of the promotion of the factories, they have hiking and cycling route. One of the most popular hiking trails is called “On the trace of the ice age” and another one is “The railroad (Banvall) trails”. We learned that there are many more similar railway related trails in Sweden and Europe. 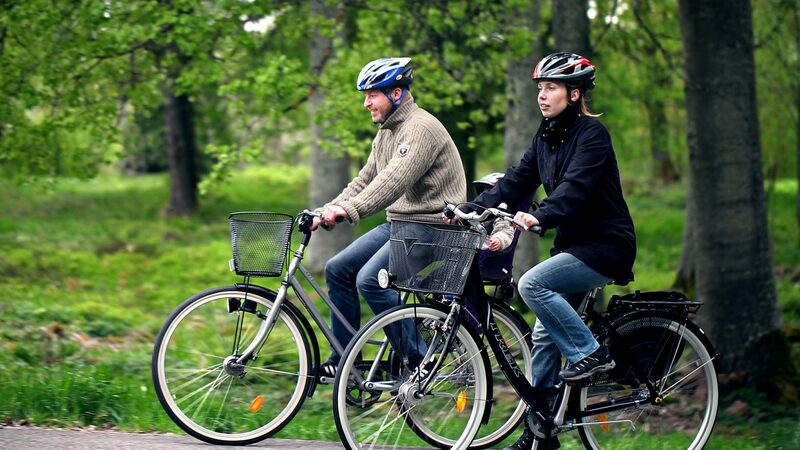 To cycle in Sweden is a great way to experience Swedish culture and nature. It seems that we must come back in summer to experience and learn more about Småland.